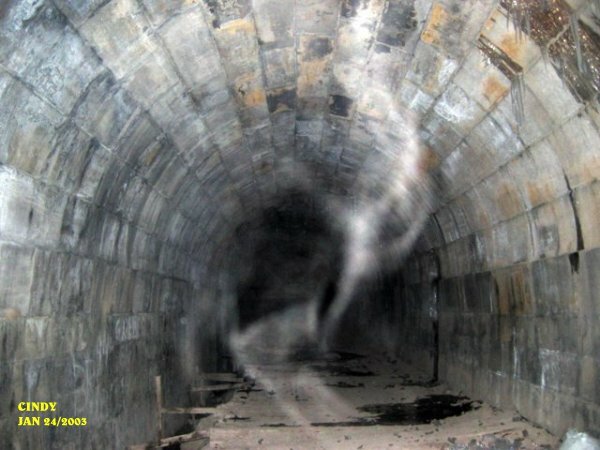 This shows an energy form showing itself in the middle of the tunnel from the floor up. Cindy's photo showing what appears as a dog to the right in light blue ecto plasm form. To the left of the tunnel entrance as we were leaving an apparation of a man's head was forming. This form had a lot of energy to it as shown by the vibrant color. It appears to be an older man that was taking shape. 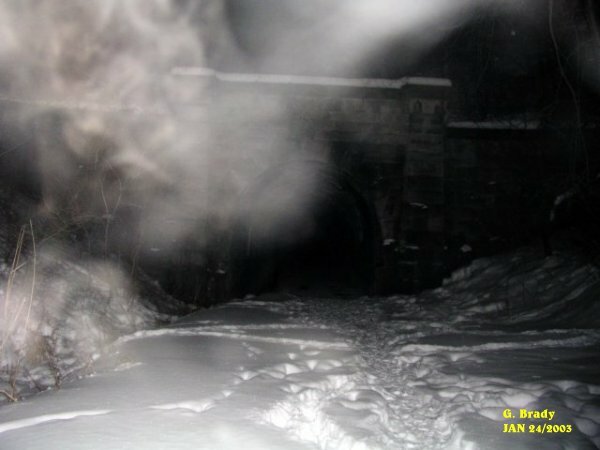 Cathy had taken this picture of a strange energy form just above the tunnel on the right hand side. We spent about 4 hrs. at the tunnel this night. The howling we heard earlier was spooky to say the least. Every time we would call the names of the dogs we would hear a bark or growl near the entrance. When the name Tucker was called out activity started up. Cindy had her hand grabbed by an unseen force and it seemed to pull her for a very brief moment. There were very low whispers that could be heard in the tunnel from time to time. Each time we visit the tunnel we always come away with something new. 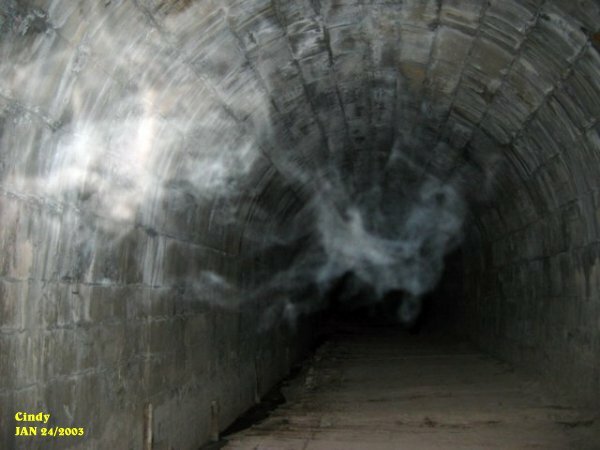 As for using the OUIJA board, we cannot validate to date any spirits that may occupy the tunnel, although we are still searching for verification. One thing is for certain, the names we call out that we had got from using the OUIJA board at home do bring about activity within the tunnel. Here are some of the names we use: Tucker, Mark, Paula, Wayne, Ryan. Here are the dog's names: Manny, Max, Molly, Casey. After calling out the dog's names, listen very carefully and see if you hear a bark or growl or howling near the entrance of the tunnel. 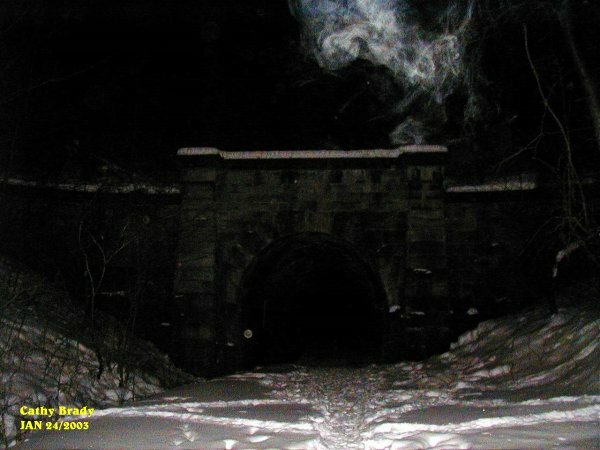 Try using the names we use and see if anything happens on your investigation of the Blue Ghost Tunnel.